With spring on the way, we bring you another edition packed full with seeds of ideas that we hope will reap bumper crops in your communities. As well as being the media with social reports about skill share, films, energy and the economy, we are also in with the Guardian and Radio 4. You can learn how Bristol gets fed what a home using 60% less energy is like inside, get inspired with Training and be part of a thriving Reconomy. We’re one of ‘Britain’s 50 New Radicals’! ‘Britain’s 50 New Radicals’. We’re honoured, and are in some great company. The Bristol Pound, resilience surveys and a Transition newspaper! Starting a Community Business and Currency are two of the Transition events at the Guardian newspaper’s Open Weekend. On Saturday evening there will be a screening a screening of ’In Transition 2.0‘ followed by Q&A. Although tickets have all sold out, it is hoped that some of these events will be filmed and put on the Guardian’s website. there would be available, almost like a physical internet! the year of peak oil was. This is a story of how a community created its own energy company. It began with an Open Space workshop run by Transition Town Lewes mid-2007 called ‘How will Lewes power itself? do not challenge the system. with entertainment and feel-good escapes, or they can confront us with reality. and connections between those who attend. has enabled a wealth of all sorts of documentaries. It is the essential thread that runs through the whole movement and distinguishes it in many ways. imagine an alternative to our current society. If Transition is to succeed – to deliver on its promise of happier, more resilient communities – then it’s always seemed obvious to me that the work we do is fundamental to this change. Six months work by nine dedicated, busy and unpaid professionals – gone. The challenge we face in Transition is to belong to places ourselves. at all and contradict our every move. Lots of your friends are becoming farmers; so why don’t you become a candle maker? So, who DOES feed Bristol, and will they be doing it in 2050? The report was commissioned and funded by NHS Bristol. The report is primarily a descriptive analysis of the food system serving Bristol. It also gives some global context, plus a discussion of resilience in relation to inputs, outputs and threats. There should be one of these for every town/city. The UK’s first inner city community owned solar project launches with a £75,000 community Share Offer. The project will install several hundred square metres of solar panels on the roofs of the Loughborough Estate in Brixton, one the UK’s most economically deprived areas. Local Transition groups are offered support from soap retailer Lush. A year ago Lush kindly provided some funding to Transition Network in order that we could provide bursaries for the Transition Training courses for people who would otherwise struggle to pay. Lush say their shops are now running environmental, charity and campaigning events and that they suggest their shops tie up with their local Transition group. For example Transition Cambridge did a training session on running charity events in the shops. Note that Lush is a vegetarian/vegan company so they wouldn’t want to get involved with any projects promoting rearing animals. If you think there is something you could do together contact your local shops directly. 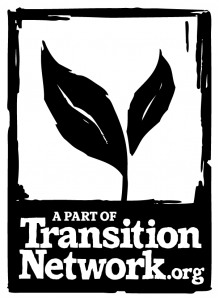 Hosted by Transition Town Totnes, it will bring local social/sustainable entrepreneurs, investors, and experts together for an all-day event that will include learning, networking, and deal-making. One of the aims of this project is to document it and make it easily replicable for other communities around the country. Click here to see all upcoming Transition Training courses. « If you know that life is a gift then the natural response is gratitude….. Copyright (C) 2012 Transition Network All rights reserved.